Hey Guys & Badass Women! I hope you guys have been having a great week so far. I know it's taken a while for me to get back on this but I'm here with another list of zombie picks. Some I've been reading, all I plan on reading and most are created by some amazing people. My Thoughts: Okay, when I saw this cover I was in love! It looks awesome and made me have to find out more, so I read the blurb and the concept is awesome. I've been looking for something like this for a while, I secretly like period pieces and if you toss zombies into the mix then you have yourself a new reader. I got myself the audiobook and it is awesome, I'm not done with it just yet, but I recommend this book. Some of the reviews are a bit off base for why they didn't like it but to each their own I guess. Captured and held against his will, Mike finds himself on the receiving end of genetic experiments. Tortured by injections and left to live in subhuman conditions, Mike and his fellow test subjects struggle to survive in a scientifically engineered hell-on-Earth. The virus they have been exposed to has caused varied yet brutal effects on those exposed. With most succumbing to the ravenous flesh-eating hunger of a twisted inhuman being, the underground testing facility in which they are held has become a battleground for survival. Even with his elite military training, veteran Mike knows that the virus will destroy him too unless he finds a way to hold on to his humanity and escape this living nightmare. With the aid of those left to linger, Mike and his companions must find their way deep into the heart of the facility and escape before it’s too late. With the poison in their veins dragging them into the depths of depravity, every second count in their pursuit of freedom. Is there enough humanity within to keep the virus at bay and return to the light? Or is the world at large in danger of this horrific, mutating scourge? My Thoughts: Okay I personally got to work with Derek on a project a month ago for his current series Ballistic Mech (Amazon Link https://amzn.to/2LpsWP1)and he was awesome to work with. I loved the concept for his Ballistic series but I was sad to find out there were no zombies in them...but then that frown turned upside down (people still say that right?) when I found Afflicted, Derek's zombie series. I haven't gotten the chance to sit down with it just yet, but I should have some time this weekend to dive in. So this recommendation is all based on the fact that I know the author and he is an amazing guy with a great imagination. Go check out his work. My Thoughts: Daddy's Home! The Zombie Fallout Series finally has a new book and everyone is going crazy! It was number one in post-apocalyptic on day one and number 2 in horror. Mark took a little break from the zombie world and started doing some other things but his fan's got a big surprise this month with this release. If you haven't picked up the Zombie Fallout Series, then what are you waiting for! I feel like Planet Dead and Zombie Fallout could be genre sisters haha which means laughs will be found in their pages. My Thoughts: I've read book one of this series and I'm making my way through the rest. People are going crazy for Zombie Road because it's something different, a look through a whole new set of eyes. David A. Simpson is an awesome dude, his always willing to do something for his fans. I swear he's giving out prizes all the time, and I'm soo jealous I didn't think of his bullet hole paperback prize. Some people have a problem with the villains of the series but hey, someone's got to be the bad guy and you can't make everyone happy. I really enjoyed the story of the students trying to get out of the school in book one, and it seems 4 is picking up on all that...which means I have some reading to do. Right now this is up for pre-order so grab it before everyone else. One hot August morning in 1892, Lizzie Borden picked up an ax and murdered her father and stepmother. Newspapers claim she did it for the oldest of reasons: family conflicts, jealousy, and greed. But what if her parents were already dead? What if Lizzie slaughtered them because they’d become… zombies? 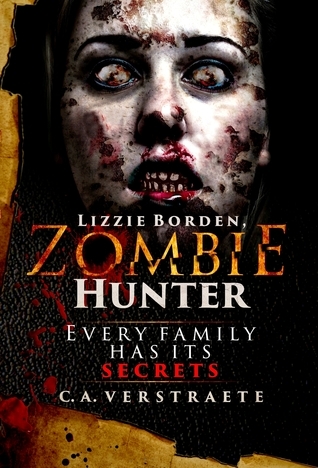 * Read the continuation in Lizzie Borden, Zombie Hunter 2: The Axe Will Fall! My Thoughts: Do I really have to explain why I love this concept? I watch ID every day, true crime books are all around my house and I write in the zombie genre...this book is crawling at my soul! I love the new covers and just the fact that I get to see a spin on Lizzie like this is awesome. 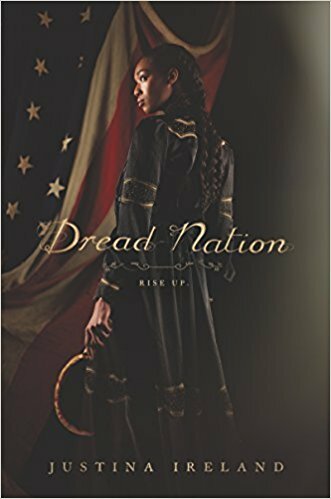 I'm not sure if I picked this series before or if I just shouted it out but I'm so reading this after Dread Nation and like all the other authors, Veristraete is an amazing person and I love the passion that is put into this project. I can't wait to sit down and read both books. So that's this week's list. If you know of any books I need to check out, just toss them in the comments below. Anyway check out these awesome books and don't forget to check out my Planet Dead Series (Amazon link https://amzn.to/2IH5nDk) and if you like what you see and want to keep me from eating instant noodles every day, remember just a dollar a month can feed a horror author. Become a Patreon and get some cool stuff and a warm feeling in your cold, cold, heart.